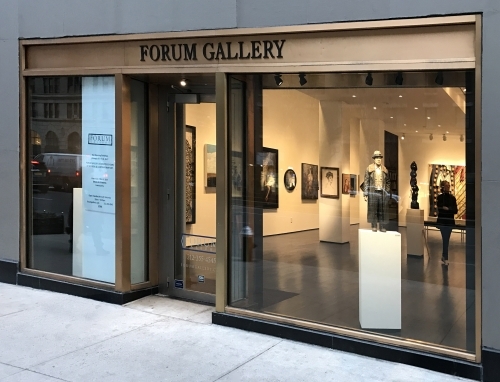 Forum Gallery was founded in New York City in 1961 by Bella Fishko, as a gallery of American figurative art. Among the first artists represented were Raphael Soyer, Chaim Gross, David Levine and Gregory Gillespie. The gallery was a founding member of the Art Dealers Association of America in 1962. From inception, Forum Gallery’s contemporary exhibition program has been augmented by mounting curated, thematic exhibitions of historic importance, in keeping with the gallery’s focus on humanism. Forum Gallery’s program expanded in the 1980’s, and the gallery soon represented the American artists William Beckman and Robert Cottingham as well as the Norwegian painter Odd Nerdrum. Today, in addition to these artists, Forum Gallery represents more than twenty American and European artists and estates, including the Spanish masters Cesar Galicia and Guillermo Munoz Vera, and Austrian artist Xenia Hausner. American artists whose work is now represented by Forum Gallery include Steven Assael, Linden Frederick, Alan Magee, Alyssa Monks, Clio Newton, Tula Telfair and Brian Rutenberg. Forum Gallery regularly exhibits at art fairs throughout the United States. 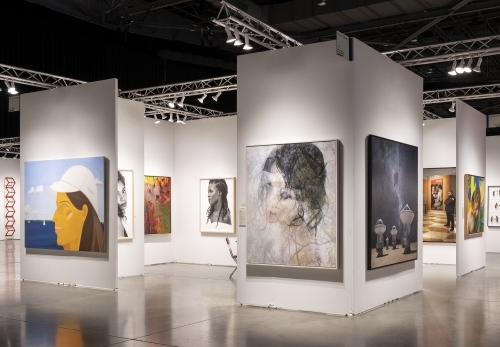 The gallery exhibited at the inaugural edition of The Art Show (ADAA – Park Avenue Armory) and has since participated twenty times. An early exhibitor at the Chicago International Art Exposition at Navy Pier, Forum now exhibits at ExpoChicago annually. In 2000, Forum Gallery mounted an Odd Nerdrum exhibition at the FIAC in Paris, and today the gallery exhibits regularly at fairs in San Francisco, New York, Miami, Houston, Seattle and Chicago. A service business focused on customer satisfaction, Forum Gallery looks forward to every opportunity to assist collectors, experienced and new.